2011 saw the announcement of 2 of the biggest cameras to hit the scene, the RED Scarlet – X, and the Canon C300. Both of the cameras were also either coincidentally or purposely announced the exact same day. 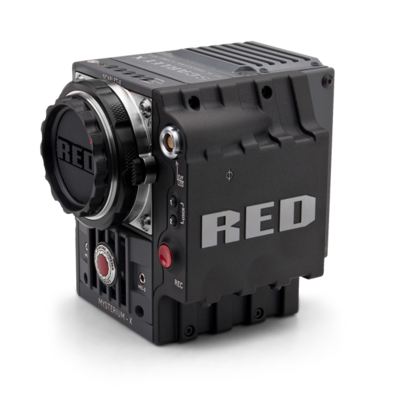 The RED Scarlet – X boast 4k recording (4096 x 2160 ) or 5k stills at 12FPS continuous capture speed. The body is built like a tank and is priced at $9700 just for the brain and is already backordered. It also comes available with various mounts for either PL or Canon Ti lenses. With the introduction of these new cameras we can see some fantastic new ways and images for story telling to be shown across the globe. Reviews of both these cameras are starting to appear. A good friend of mine Nino Leitner along with Mario Feil were lucky enough to have a prototype of the Canon C300 and they shot a short film on it. Nino and Mario were kind enough to allow me to see some of the footage from a post-production point of view. I will have my thoughts on that up soon. But If you are really curious to see how good the Canon C300 is …. check out Nino Leitner’s full review here. The Red Scarlet – X is also showing some beautiful images. As you can see both of these cameras have stunning images that force us re-think and and unlock some of our potential as filmmakers. 2012 will show us plenty of beautiful images that I look forward to seeing from both of these cameras. There is also the Sony F3 and the yet to be announced Canon 5D MKIII Which one are you most excited about ? How to create a better future. Join Intel Canada’s bloggers on Facebook and learn how to do more with your technology. Wow! This latest camera is awesome. I can’t wait to had this one. Are these built specifically for taking video or are they a form of large format? These are designed for taking video, but they do have still frame capabilities. You can often take a frame grab off either camera. I should buy this kind of camera it has a lot of features..